New tooth material for enhanced heat and wear resistance. An increased hole saw depth of 51mm (2in). 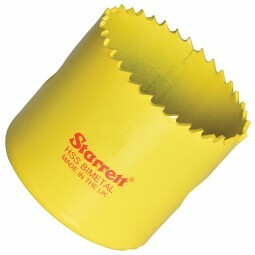 Ideal for cutting metal of more than 3mm thickness. Also tubes with a wall thickness of greater than 3mm and wood up to 51mm (2in) thick.